When you learn how to pose for family portraits you're giving yourself an edge over every person trying to take snapshots of their family vacation. Making some slight simple adjustments to the positions of your family members can have a dramatic impact on the quality and look of your final photo. Here's the good news - learning how to pose for family portraits isn't all that hard. The bad news? Actually getting your family members to follow your directions IS. If you've ever been to a portrait studio or worked with a professional portrait photographer, they've probably told you exactly how to position your body. "Drop your left shoulder a bit - that's it - OK, now turn your head and look at me - great - chin down a bit..."
The whole point of a professional portrait is to make you look GOOD, and that's exactly what the photographer is trying to do. If they just had you stand and took a photo of you head-on, it would not result in a terribly flattering image (certainly not one you'd like to frame and hang on the wall). Since this is the case, the direction the photographer gives you is designed to help mold your body into more interesting positions so that the final portrait is more dynamic. Why should the family portrait be any different? When you're visiting the Grand Canyon, why you do have your family members line up side-by-side and capture them in most static and unflattering pose imaginable? Trust me on this - just a small amount of posing can go a long way toward improving the photos on your next family vacation. Perhaps you've heard the saying about television that the cameras add 10 pounds. The same is true of a photographic camera when you take pictures of people head-on: where the plane of your subject's body matches the plane of the camera's sensor. The first simple step toward improving your family portraits is to have people TURN. When one shoulder is closer to the camera than the other, not only does it create a more interesting image, it also makes all of your subjects look slimmer. Part of the reason why this approach yeilds a more interesting portrait is because the subject's head is no longer squared off with the shoulders. When your subject's body is angled, they must turn their head to look at the camera, and the result is a difference in angle between head and shoulders. When you're posing a group for a family portrait, try to arrange the heads of your subjects so that they form triangles. Like the angles in step number one, geometric shapes like triangles create photos that have more visual appeal. Placing your family into a tight-knit triangle also brings the group together, which creates less empty "dead" space between each person's body. Have more than three family members? Just create sub-groups of triangles until you've got everyone properly arranged. Hands create all sorts of problems when you're trying to pose for family portraits. First, most people can't decide what to do with them - fold, bunch, put in pockets, place in lap? The second issue is that hands add a lot of visual clutter to the image and this effect is magnified by each additional family member you have. The simplest solution then is to have people put their hands in positions that effectively hide them from view. Have men fold their arms, women can place them in their laps, and pockets are a great solution for kids of all ages. Here's a trick that's dead simple, even with highly un-cooperative subjects: just have them tilt their heads together. The mere act of tilting heads ensures that every person's body is not straight up and down. It also creates an immediate feeling of intimacy. When people keep their heads straight up and down or tilted away from the person next to them, it looks like they're not part of the group. The minute those heads get just a fraction of an inch closer, your family portrait comes together, and doesn't look like a group of strangers all standing next to each other. One final way that you can make your family portraits more engaging and interesting is to have some people sit and others stand. Keeping in mind the triangle approach from Step 2, find natural locations in your environment where some people can sit down - it doesn't matter if it's a park bench or a large boulder. This technique works especially well for photos of grandparents and kids. The grandparents can sit down and be comfortable while the photo shoot takes place, and the children can be wrangled into position around them. The final image should be a nice juxtaposition of age and youth. I think that the dreaded "cheese" word is responsible for the vast majority of static and drab family portraits out there in the world today. Why? When you ask your subjects to say "cheese" you're WARNING them that you're about to take a photo. Not very many people are comfortable in front of a camera, so what do you think happens when you tell them what you're about to do? They stiffen up. They fabricate smiles. They stare blankly ahead. In short, they do everything that you DON'T want them to do if your goal is to capture a special family moment. If you've gone to all the trouble to actually pose your family members (following some of the tips outlined above) then don't ruin it by letting them know when the photo's about to happen. Instead, keep up a stream of conversation and take photos at random intervals while you do. You'll find that everyone in the photo is more relaxed, if they are smiling it's natural, and the poses they adopt (based on your guidance) are more interesting to look at once the vacation is all over and you've returned home. 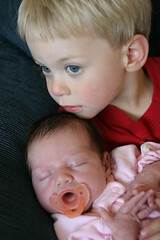 For more great tips on family portrait photography, browse through Best Family Photography Tips. 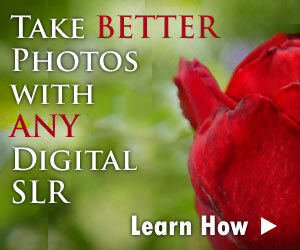 This site is packed with information about how to take better family portraits.